Inevitably, you’ve probably followed one of the cult TV shows on this list — and probably binge-watched it, too (just me?). 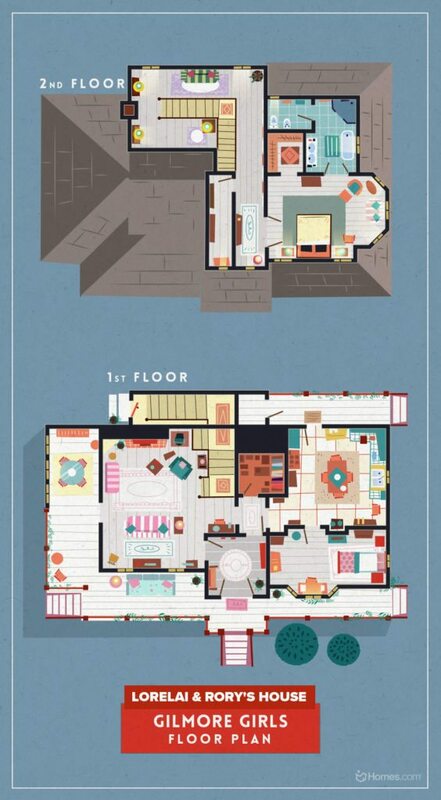 Check out these eight floor plans from NeoMam Studios and see how your beloved (or hated) fictional characters lived. Set in fictional Sunnydale, California (the actual house is in Torrance), Buffy’s three-bedroom home isn’t the swanky Frank Lloyd Wright mansion that Drusilla, Spike — and, eventually, Angel — lived in, but it was a haven for one badass slayer with amazing hair. Others have questioned how teenage mom Lorelai Gilmore could afford a $2.8 million home, but we are just going to go with it as part of the romance of Stars Hollow that allowed us to fall in love with Lorelai, Rory, Luke and the rest of the town’s crew. I almost want to move to a small town in Connecticut — but if you have that impulse, too, stifle it! Stars Hollow isn’t an actual town. However, us die-hard fans can look forward to a Gilmore Girls reunion on Netflix, Nov. 25. This Ron Howard brainchild was short-lived (three seasons) but well-loved enough to be brought back on Netflix 10 years after the debut. 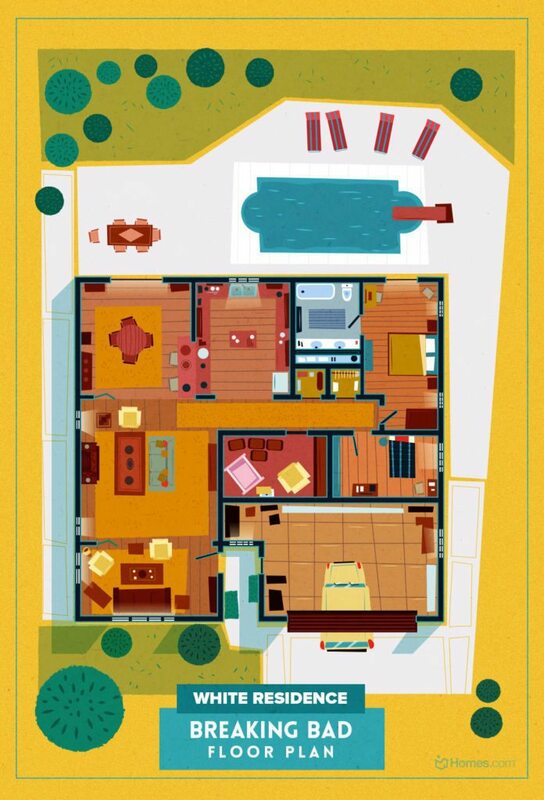 This floor plan is also the part of our favorite patriarch’s corrupt business practices that created this dysfunctional riches-to-rags family — and the show’s title. 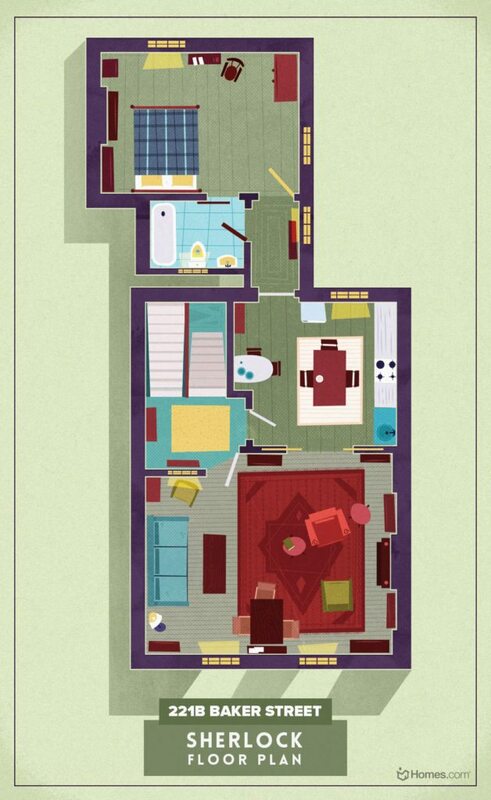 Walter White’s family home is nice for a high-school chemistry teacher turned meth drug lord — not too overstated, not too shabby-chic. You won’t find any drugs here — outside, perhaps, the occasional prescription (Walter does have lung cancer). Perhaps you can’t explain the draw that Benedict Cumberbatch has — the cast of Saturday Night Live certainly couldn’t. But you probably agree: He makes one hell of a Sherlock Holmes. 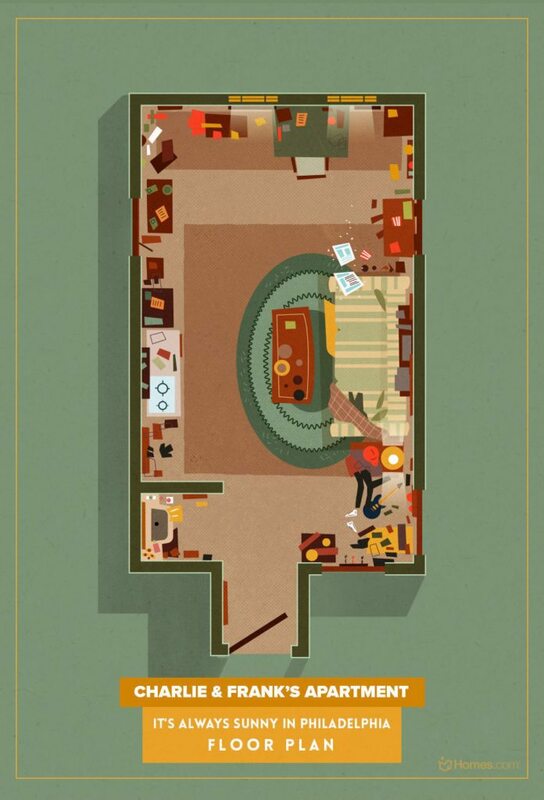 Take a look at the gentlemen’s home Cumberbatch’s Sherlock spent so much of his time in. 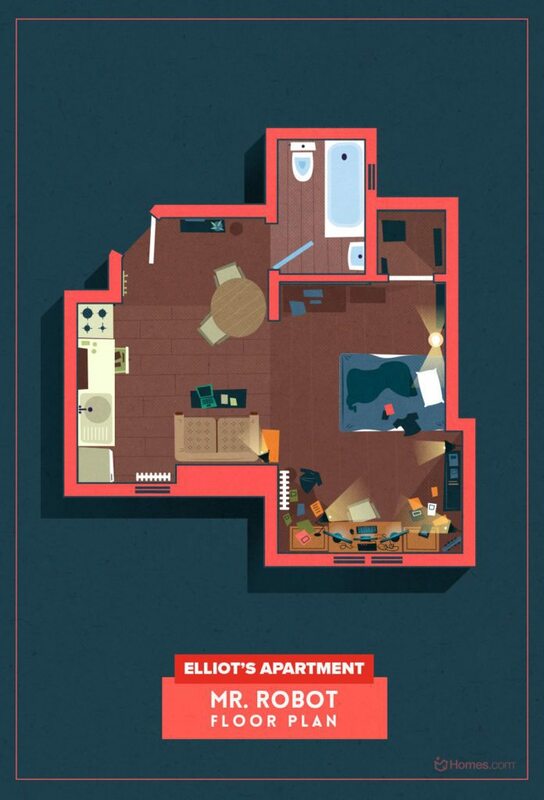 This addictive series hit the scene just last year on USA. 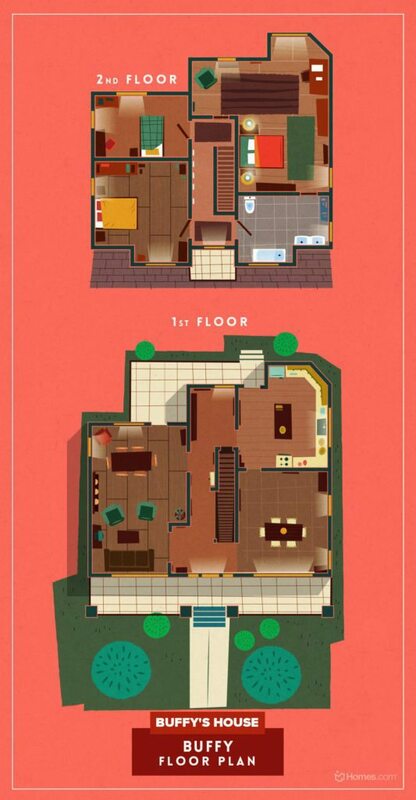 You won’t find skee ball or a group of underground hackers set on distorting the global financial infustructure on this floor plan, but you will find some high-tech gear and, if you look closely enough, a Christian Slater-like leader who happens to be a figment of your imagination. New internet theories emerge daily about this Netflix must-binge series (that means you haven’t missed out yet — as long as you have a Netflix account). 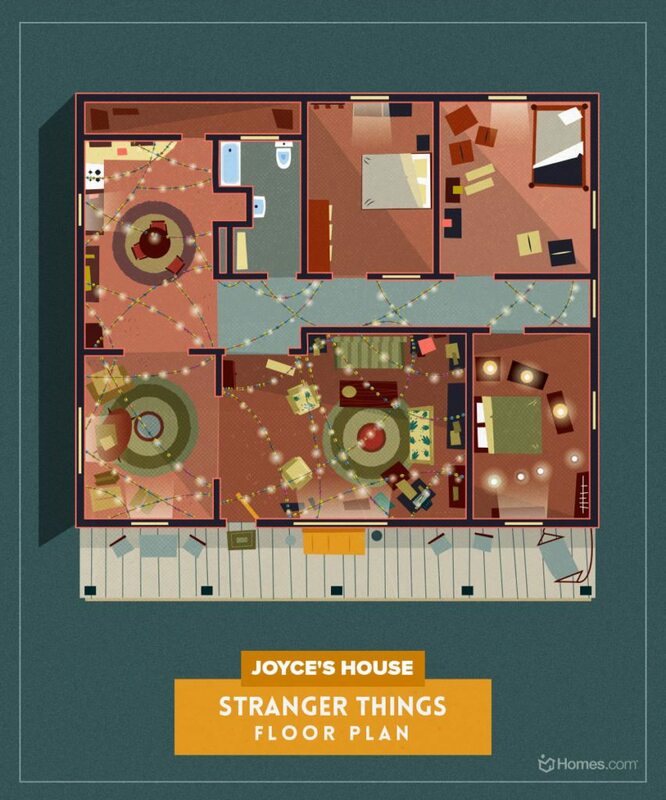 This might be my favorite floor plan because it encompasses the hysteria that Joyce Byers felt most of the season. And bonus: It’s Christmas-ready.